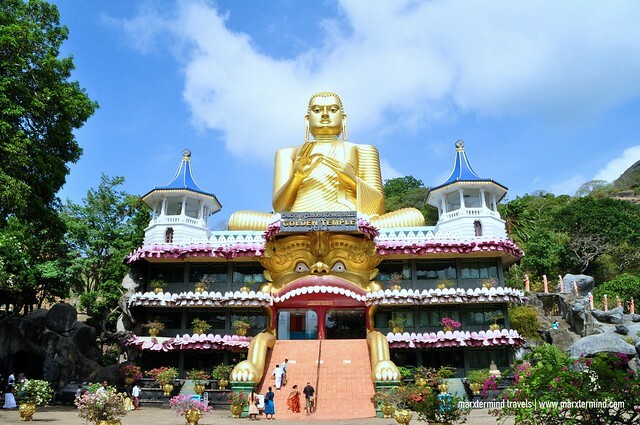 Visiting Sri Lanka is an exciting and wonderful experience. We spent a total of nine days in this island country in South Asia exploring the best of its natural attractions and heritage sites. 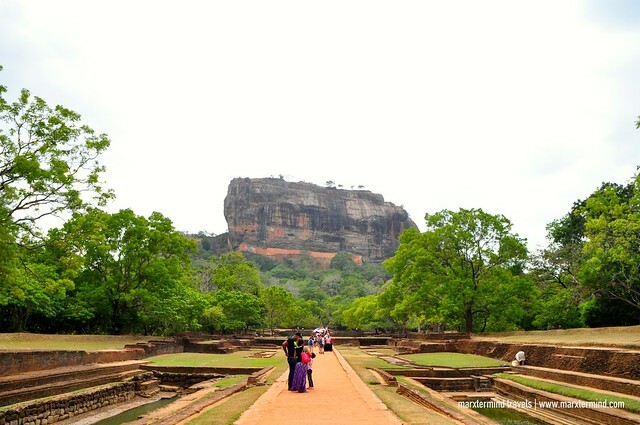 We spent our first three days in Sigiriya and Kandy. Spending our first few days here made us like Sri Lanka instantly. We were able to see herd of elephants, visit a national park, and see some notable landmarks and majestic temples. It felt like we already experienced a lot even if we were just in our first few days. Coming from the Philippines, we took a connecting flight from Malaysia to get to Sri Lanka. We arrived in Colombo via AirAsia flight from Kuala Lumpur. Entering the country is easy by obtaining Electronic Travel Authorisation (ETA). The visa is valid for 3 months starting from the day it has been approved. It allows two entries, which means we can enter the country twice during the three months’ time. Citizens of all countries except Singapore, Maldives and Seychelles can apply for this visa type. Applying for ETA costs $15 for SAARC countries and $30 for others. How to Travel Around Sri Lanka? Getting around in Sri Lanka is already an adventure itself. Although small in land size, traveling around the island can be time consuming. Most of the tourist destinations are located in long distances. From Colombo to Sigiriya, it already took us 4 hours drive while Sigiriya to Kandy took us 2 hours. But ways in getting around is not a big problem as there are options for transportation that fits any budget. There are buses, trains, tuk tuk and car rental. 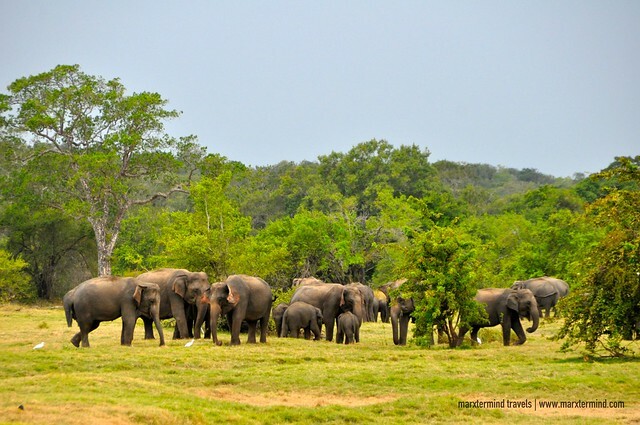 We spent 9 days in Sri Lanka with 6 main destinations and cities visited. My friend and I wanted to get most of our time so to make that happen, we chose to have a private car as our primary mode of transport. We chartered a private car from JNW Lanka Tours. Rates are affordable starting from $55 per day for a car that fits up to three persons. We thought it was the most convenient way to tour around. Having our own car let us fully enjoyed our journey because we were able to get to the places that we wanted. We were able to manage our itinerary at our own pace. We had a chauffeur that speaks English well. His name is Karu, who also became our instant guide. He is approachable and accommodating. I highly recommend him as a driver if you would be traveling in Sri Lanka with private car. 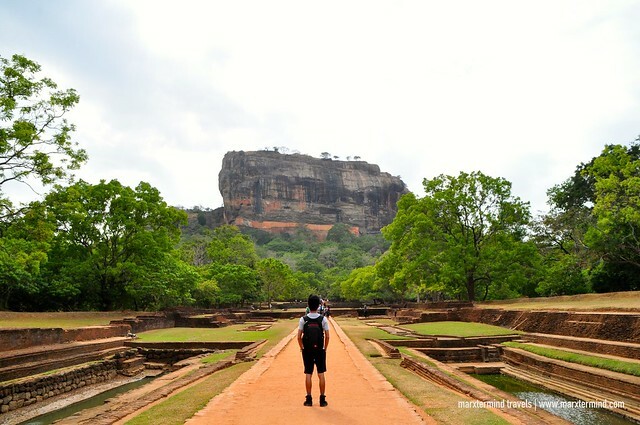 Staying in Sigiriya and Kandy was the highlight of our first three days in Sri Lanka. Sigiriya is a small town in Southern Province while Kandy is a major city in the Central Province. 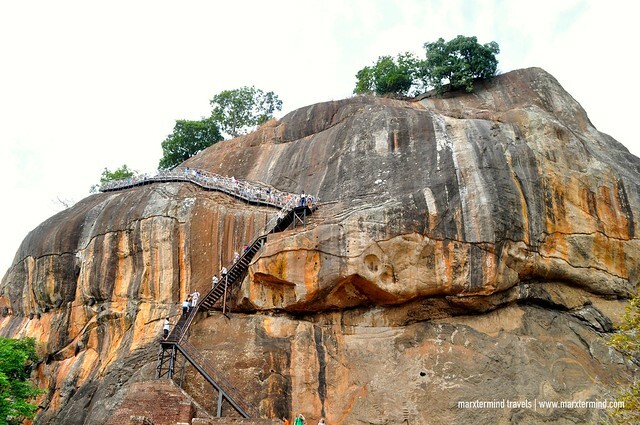 In three days, we explored some of its famous tourist spots starting with Sigiriya Lion Rock. 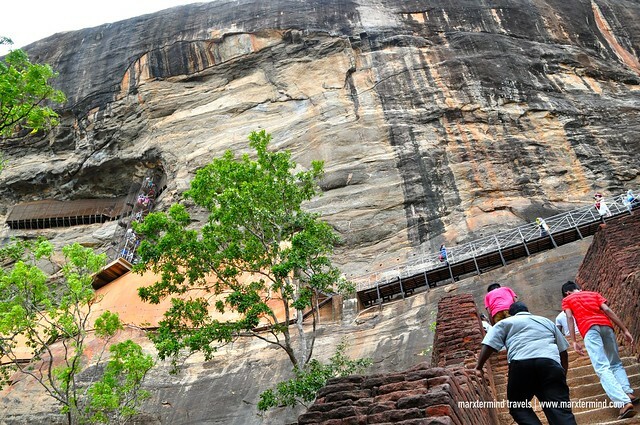 Sigiriya Lion Rock is one of the most visited tourist destinations of Sri Lanka. Listed as a UNESCO World Heritage Site, it is one of the most valuable historical monuments in the country. It has historical and archaeological significance that is dominated by a massive column of rock. We visited early morning. Entrance fee for foreign tourist is $30 per person. Seeing the rock formation was truly spectacular. Climbing though was gruelling but getting to the top was a great experience. The famous tourist site has an ancient citadel with upper palace and a mid-level terrace that has the Lion Gate and the mirror wall. There are steps to reach these parts of this historical site but it was a challenging climb. But once we reached the top, we got rewarded with a beautiful and spectacular view. 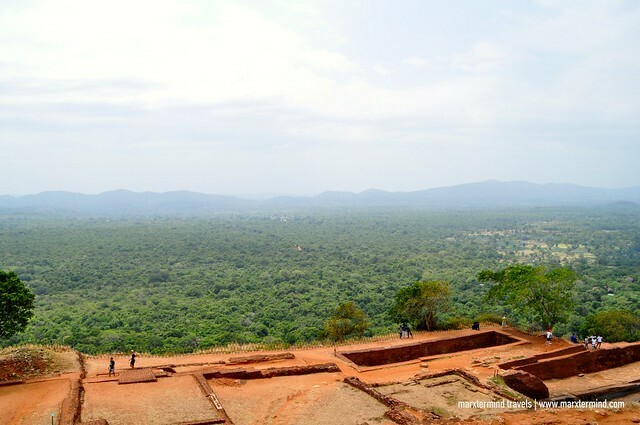 Just about half an hour away from our hotel in Sigiriya, we went to an adventure in Minneriya National Park. We wanted to see herd of elephants in the wild and this national park is one of the best places in the country to see them. 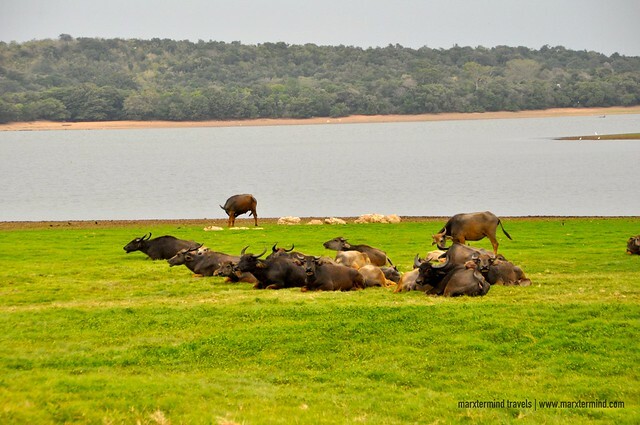 It is also home to Sri Lanka’s favourites such as sambar deer and leopards. This wildlife sanctuary has plenty of scrub, forest and wetlands that give shelter for different animals and species. Entering the park requires a permit. 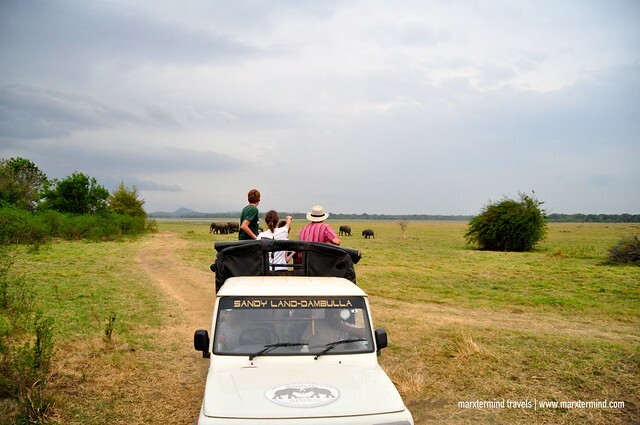 We availed a half-day safari package through a travel agency that costs about $33 per person. But the fee only includes driver and jeep. Additional fee of around $24 per person needs to be paid at the gate for the park entrance. It was mid-afternoon when we went. This was the activity I was excited about because I always wanted to go on a safari tour. Our driver diverged from most of the tourists and busy fleet of jeeps. He brought us to a more secluded part of the park. We enjoyed the ride because it felt like we had that part of the park on our own. 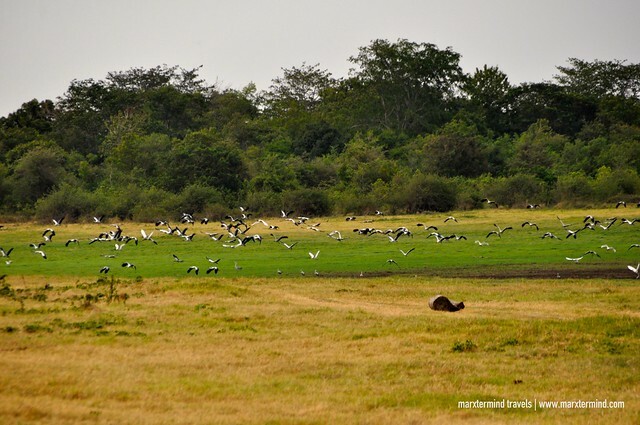 It was a grateful experience that aside from herd of elephants, we also saw herd of water buffalos, flock of birds in different kinds and skulk of foxes to name a few. We spent almost 2 hours roving around. We enjoyed our safari tour, most especially seeing the elephants and other animals in their own environment. 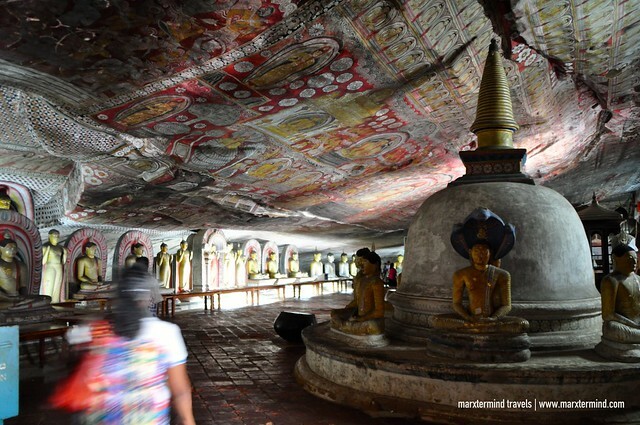 We were on our way from Sigiriya to Kandy when we dropped by Dambulla Cave Temple. 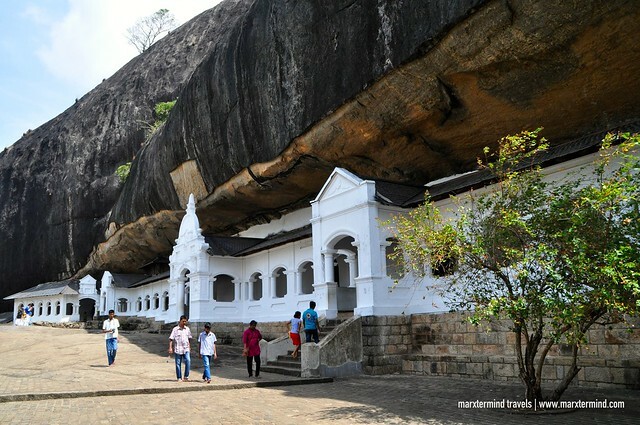 This cave monastery, with its five sanctuaries, is the largest and best preserved cave temple complex in Sri Lanka. It is also a World Heritage Site. Entrance is free. Located at higher elevation, getting to this place was quite an effort. But it was worth visiting because this place has a lot magnificent Buddha images and rock paintings of vivid colours and shapes. People has to observe the proper attire though. It is not allowed to wear shorts and skirts with a length of above the knee. I was wearing a short but good thing I had a scarf with me, which I used to cover my legs. Wearing shoes or any other footwear is also not allowed inside. There’s a counter outside to store footwear. We spent almost two hours here. Half of it was for going up and down. Nonetheless, visiting this place was quite impressive. Seeing the sizes and numbers of Buddha was really a nice experience. 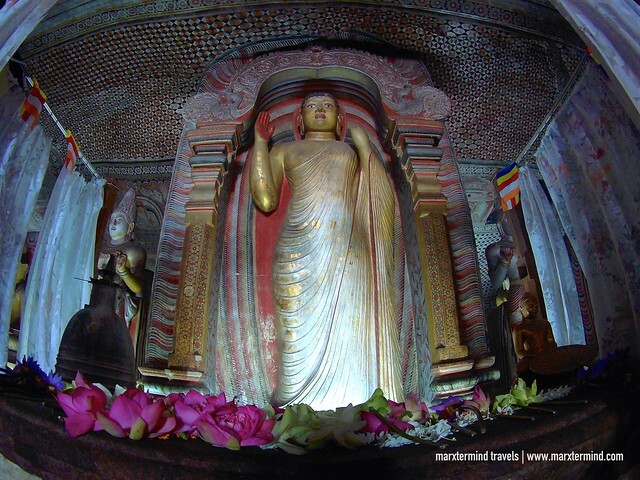 We spent a night in Kandy to visit the most important Buddhist shrine in Sri Lanka, the Temple of the Sacred Tooth Relic. 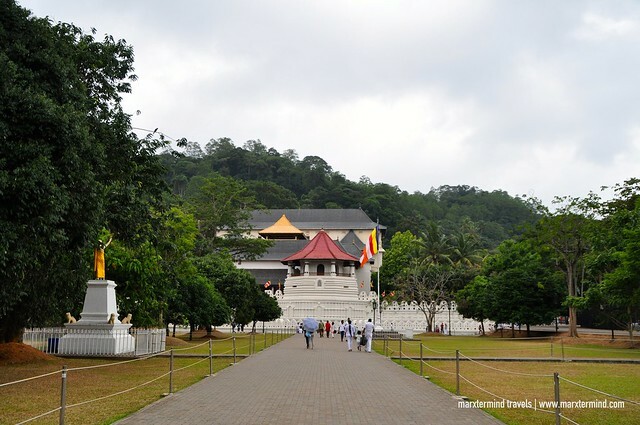 It is in the royal palace complex of the former Kingdom of Kandy that houses the relic of the tooth of the Buddha. 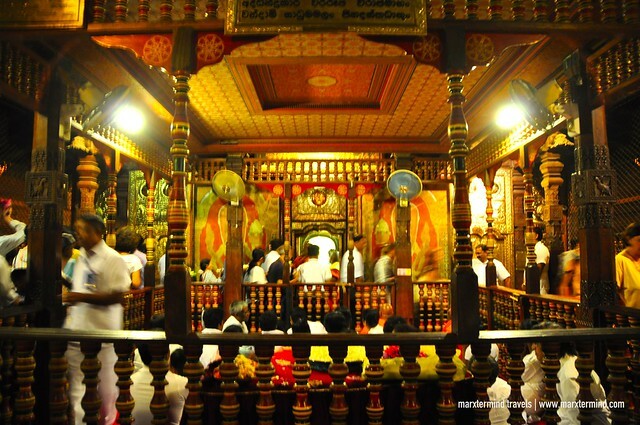 Entrance to the temple is a LKR 1,000 (~$7). Shoes need be taken off before entering the temple and leave them in the shoe counter, located next to the ticketing. We were able to catch monks performing some rituals when we went late afternoon. We walked around after which and explored some other parts of the complex. The entire temple complex is a large area. It has a main shrine that also has many other temples and museums. Key sites located within the complex are Alut Maligawa, Audience Hall and World Buddhism Museum to name a few. 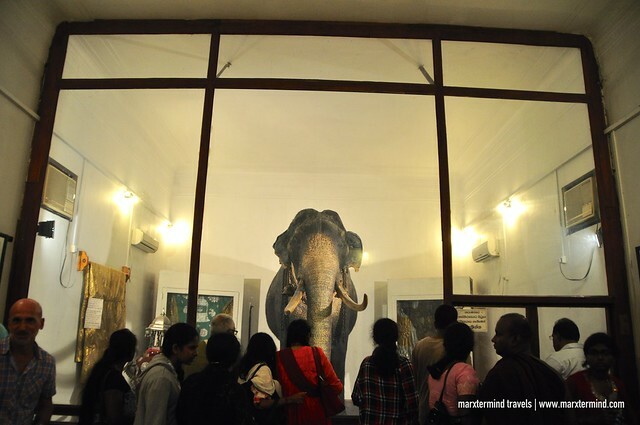 We were also able to see Raja’s stuffed remains kept in a special museum. Raja was a Sri Lankan tusker elephant. It was nearing 6:00 PM when we went back to the main temple. Crowd was starting to get thicker because the evening ceremony was about to start. People were lining up for the chance to have a glimpse of the golden case up close. We lined up at first but lost our patience when the crowd got even thicker. We decided to just go straight to the inner shrine upstairs and watched the ceremony. The ceremony is scheduled at 6:00 AM, 10:00 AM and 6:00 PM everyday. During the ceremony, devotees offer flowers and prayers. 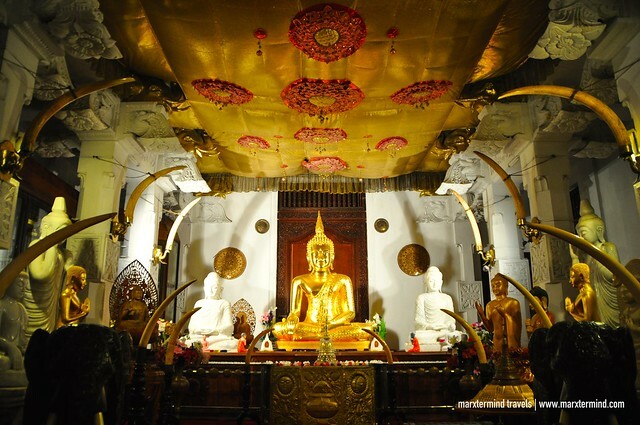 The tooth kept in a golden casket is being taken out of its chamber for devout Buddhists to see. The shrine has many worshippers and tourists. It was hard to enjoy because of the crowd. But I must say it was still an interesting place to visit when in Kandy. It was an exciting first few days in Sri Lanka. 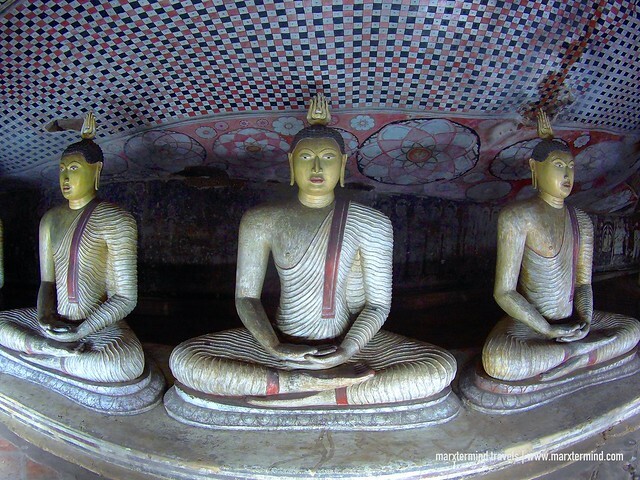 We enjoyed our three days visiting some remarkable tourist spots of Sigiriya and Kandy. Seeing these places made the start of journey in the country a great one. Hi, Inthikahb. Sure. I’ll send it to you through email.